Thank you for your consideration in supporting our event and helping to make a difference for the less fortunate! 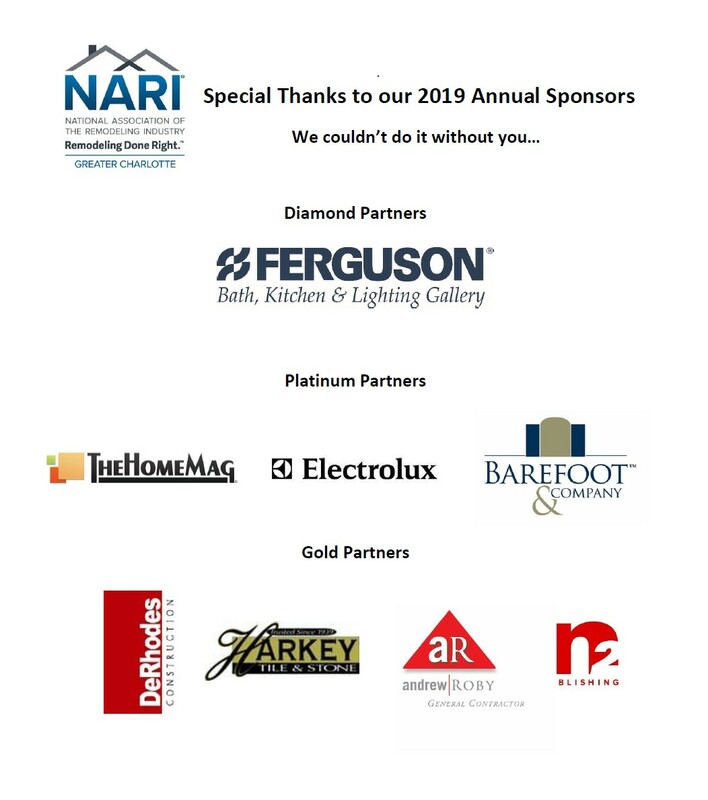 We have 4 available sponsorship levels and all of them are great opportunities attach your brand to this philanthropic event, along with NARI Charlotte. Website Banner on NARI Website leading up to event. Predominant logo placement on NARI Website leading up to event. Logo recognition on NARI Website leading up to event.